This chair adjusts to people easily and comfortably. 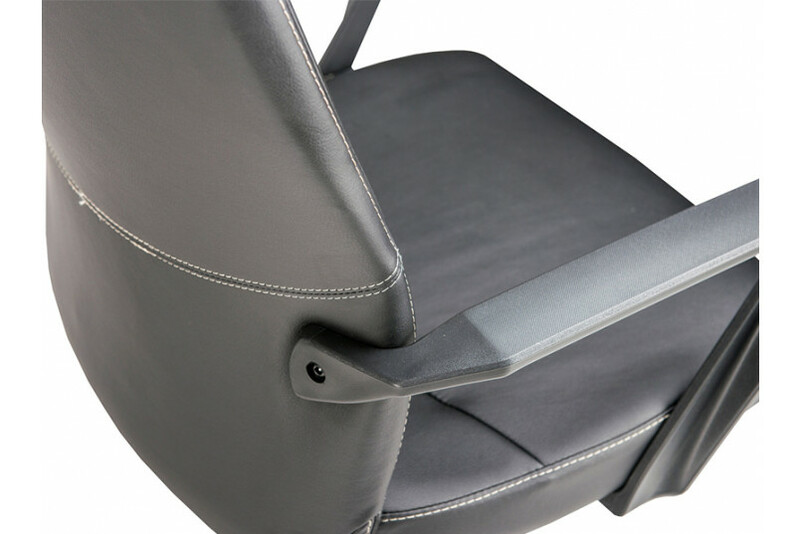 The high back chair flaunts leatherette upholstery, fixed armrest, single lock mechanism and sleek metal chair base. This chair will become the focal point of your office, wherever you place it. Its high back support will give you the right back support and avoid any future health problems. 24" x 26" Ht. 47" Seat Depth : 24"